The Divi ecosphere has come a long way in the past couple of years and we now have a huge number of useful Divi resources from an ever expanding community of users and 3rd party developers. If i missed any useful Divi resources in the list below, please drop[ me a line via Divi Theme Examples submit page. ***Please note that this page contains affiliate links (Divi WordPress Theme or Divi 3rd party products) and by clicking on them and making a purchase, you will be helping keep Divi Theme Examples a free resource for all, as the owner of this site will receive a commission on any purchases made. You are never charged extra for buying via affiliate links. Divi Theme documentation – This is the place to start if you are new to Divi. Elegant Themes Youtube channel – Videos for everything Elegant Themes and Divi. Elegant themes on Facebook – Elegant Themes official Facebook page. Elegant Themes on Twitter – Elegant Themes official Twitter page. Elegant Themes on Dribble – Some great design inspiration from the Talented Elegant Themes team. Divi Theme Examples – The ultimate Divi examples website with almost 2000+ live Divi website examples. Divi Theme News – Divi news, tutorials, reviews blog posts from around the Divi community all in one place. Also available as a wekkly email round-up. 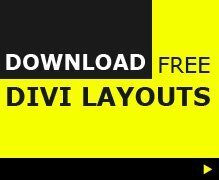 Divi Layouts – The most comprehensive searchable directory of hundreds of Divi layouts. Divi Theme Examples layouts page – Lists every free layout from Elegant Themes. Divi Theme Plugins Directoy – Every Divi Plugin in an easy to use directory. Divi Theme Examples plugins page – List all the best Divi plugins in 1 place along with non-Divi but useful plugins. 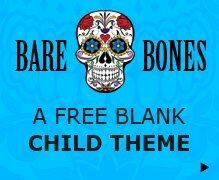 Divi Theme Examples Child theme page – Lists all the Divi child themes in 1 place and links out to the developers site. Divi Theme Examples 13,000+ – A Facebook group for Divi Theme Examples and divi support questions. Divi Theme Layouts 3,000+ – A Facebook group specifically for Divi Theme layouts. Divi Theme Help & Share 13,000+ – A Facebook group for everything Divi (Admins include Elegant Themes staff). Elegant themes User Community 7,000+ – A Facebook group for Divi users. Divi Theme Users & Elegant Marketplace 20,000+ – A group for Divi users run by Elegant Marketplace. Divi Facebook groups post lists the best groups on Facebook. Divi Space – Lots of useful stuff from the talented SJ James. WP Theme FAQ – From the creator of Divi booster, this site also offers code tutorials you can implement yourself. Quiroz Blog – A collection of Divi tutorials by Geno Quiroz. Divi Chat podcast – Divi developers Olga Summerhayes, Sarah Oates, Tami Heaton, Tammy Grant, Shannon Shaffer, Kathy Kroll Romana, Leslie Bernal, Terry Hale, David Blackmon, Cory Jenkins, Geno Quiroz, Tim Strifler, SJ James and Adam Inlay chat everything Divi in this weekly video podcast. Where to hire Divi Developers & designers outlines a few places to start looking if you have a Divi specific job.